Train travelers will likely be back in St. Paul's Union Depot early next year, after a 43-year absence. The Ramsey County Regional Rail Authority has approved a 20-year lease, with an option for 20 more with Amtrak at the historic and recently refurbished depot. The county completed a $243 million renovation last year to restore passenger service, which ended at the depot in 1971. The lease includes all current operations, including the daily Empire Builder train. County commissioner Jim McDonough said he hopes Amtrak will be back at the station in the first few months of 2014, and that it could add another train to Chicago. It's the culmination of years of planning to turn the long-neglected train station back into a transportation hub and civic center. The U.S. Postal Service's operations in downtown St. Paul had to be relocated, and the depot refurbished from the ground up, including a massive 100-yard long waiting room. Upgrades include a station for the new Green Line light rail link to downtown Minneapolis in front of the Depot, as well as inter-city bus service by Jefferson Lines. Officials had hoped to bring Amtrak trains back to Union Depot last year, relocating the train service from a station in St. Paul's Midway area. But there have been difficulties coordinating passenger and freight service in the busy sections of track along St. Paul's riverfront, said McDonough, who chairs the railroad authority. About 5 percent of the nation's freight rail traffic passes through downtown St. Paul near the depot, he said. "On the surface it seems like a simple maneuver, but in reality it's very complex," he added. "Safety is the number one issue for these freight railroads, and then also ensuring that it also doesn't slow down or impact their operations." Amtrak's lease calls for about $144,000 a year in rent, although that may be lower if actual costs are less. 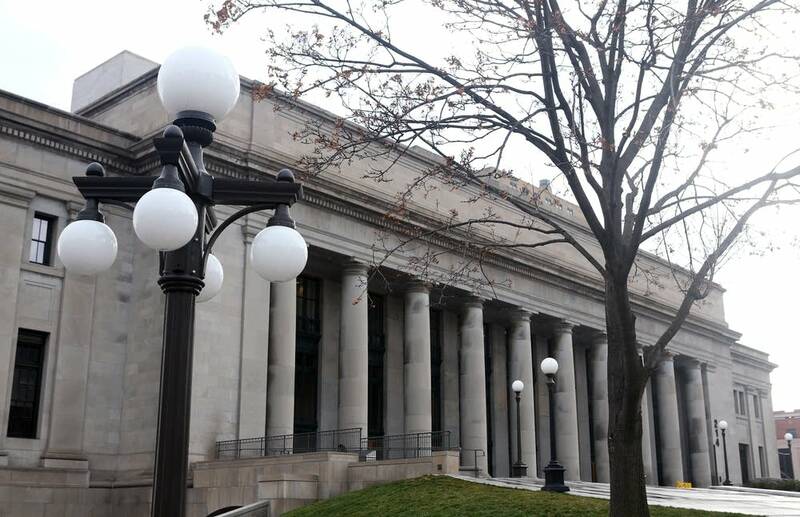 Ramsey County officials also hope in the long term to add commuter rail, like the current Northstar service to downtown Minneapolis, to the Union Depot.